When it comes down to jewellery I’m a traditionalist through and through. I love feminine jewellery that is pretty and delicate as well as unique of which for me Pandora ticks all of the boxes and more. I’ve admired the brand for a long time now and always find myself looking at the latest collections in order to see what they have come up with next. Whilst Pandora is undoubtedly famous for the wide array of charms and bracelets they design and bring into jewellery boxes worldwide I do think that some of their other items can be slightly overlooked for those that are more popular. There are a variety of different rings and earrings available from Pandora (I have my eye on one ring in particular) as well as necklaces. Today I’m sharing with you the Pandora Silver Collier Necklace* which was kindly sent to me on behalf of House of Fraser. I have never had a Pandora necklace before so I wasn’t exactly sure what to expect other than a simple silver chain however I have to say even though it is straight forward I think it is incredibly pretty. 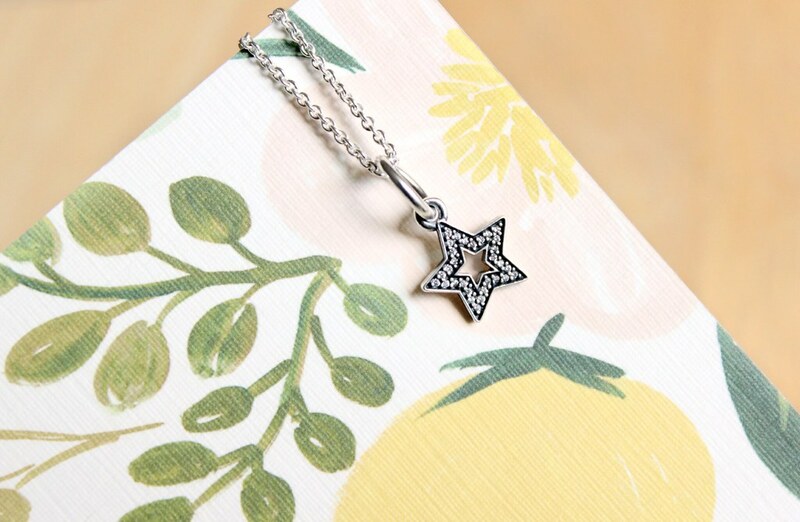 Made from sterling silver the chain is fully adjustable allowing the length to be switched between 45cm, 43cm and 38cm giving you flexibility for your desired look. As you can see there are designated circular links which resemble the individual lengths making it extremely easy to lock the clasp onto. Whilst this may seem like quite a simple thing to some I have to say it is the first time I have come across this personally; I was actually rather impressed by the added detail and consideration taken here. One final mention about the necklace would be the Pandora logo that is attached to the clasp on a small silver disc. Again it’s a little detail but for me it’s the little details that count; it all adds up to creating a beautiful piece of jewellery to cherish for years to come. Of course I simply couldn’t keep this necklace bare so I popped out to buy a little pendant for it. After much deliberation I chose the Pandora Aspiration Star which has tiny little Cubic Zirconia stones in. 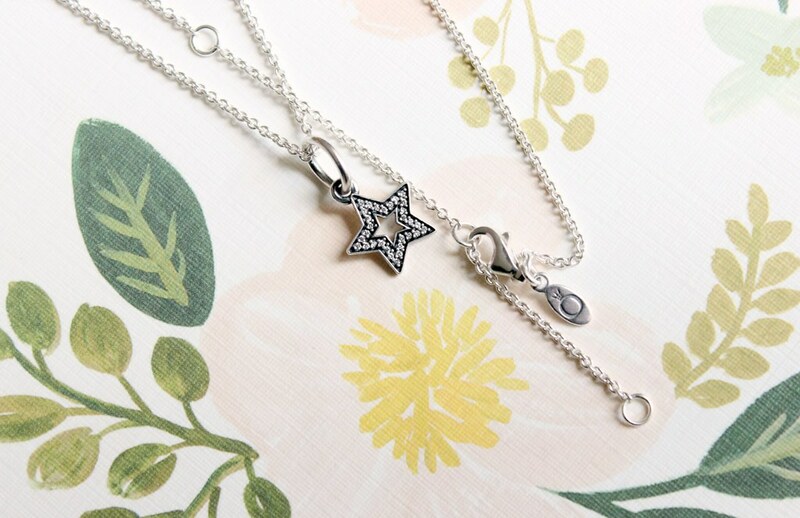 They’re not diamonds (I wish) but they still look very pretty and help to add a little bit of sparkle to the necklace without it being too much. It’s quite a small pendant actually, smaller than I had imagined when I first looked at it online however having now worn it I’m so happy that I chose it. For a long time I had being looking for a necklace that I could wear frequently that wasn’t too big and was one that I hopefully wouldn’t catch on various items of clothing; we’ve all been there I’m sure. It’s rare for me to buy jewellery and it’s even rarer for me to be given the opportunity to try something such as this. It’s a truly beautiful piece and is one that I hope to buy a few more pendants for in the coming years. That’s the beauty with a brand such as Pandora; you really can tailor it to suit you. Pandora jewellery can be found at House of Fraser.